The Hurum air disaster was an Aero Holland plane crash in Hurum southwest of Oslo, Norway as it was approaching Fornebu Airport on 20 November 1949. The plane, a Douglas DC-3 with tail number PH-TFA was en route from Brussels-Zaventem Airport. 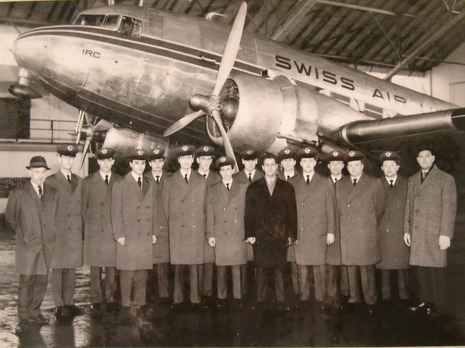 Among the 30 passengers on board were 26 Jewish children from Tunisia on their way to Norway, as an intermediary stop before making aliyah, the return to Israel. The plane crashed into the forest at 16:56, and 34 of the 35 people on board perished. A 12-year old boy named Isaac Allal was the only survivor. The crash was the second deadliest air disaster in Norway at that time, exceeded only by the 35 deaths in the 1947 Kvitbjørn disaster. Public sympathy ran high, and the leader of the Norwegian Labor Party, Håkon Lie started a fundraiser to build a Norwegian village in Israel called Moshav Norge. Crashed in a forest. The crew tried to fly VFR in IFR conditions. A 12-year-old Jewish refugee boy woke this morning from a good night's sleep- his first since he survived the nightmarish plane crash sunday in which 34 persons died. Little Isaac Allal, one of the 28 North African Jewish children flying to a Norwegian rest camp, was the only survivor.